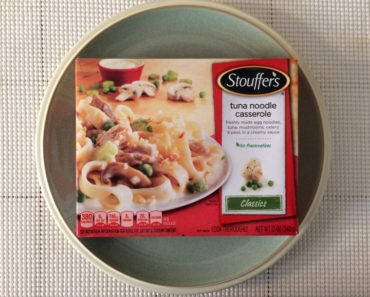 Most of the Stouffer’s frozen food we review here at Freezer Meal Frenzy comes in a single-serving size. However, there are a few dishes we simply haven’t been able to find in a smaller size, so we eventually opted for the family-sized version. The Grandma’s Chicken & Vegetable Rice Bake is a great example — we tried to find it in a smaller serving size before we eventually brought home a larger, multi-serving version. Today’s dish has a slightly different story. 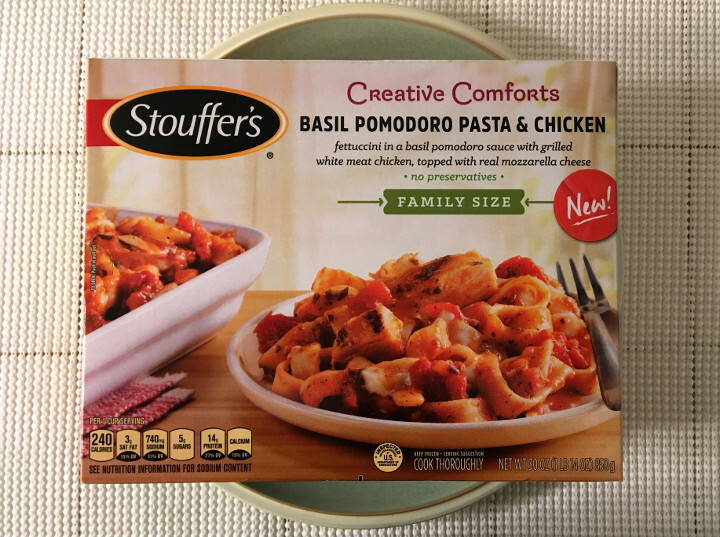 When we saw it at the grocery store, we knew right away that we wanted to try it, so we rushed over to the single-serve meals, didn’t see it there, and rushed back to the family-sized meals to grab the Stouffer’s Basil Pomodoro Pasta & Chicken. This is one of those dishes that really called out to us, so we were very excited to get this pasta into our oven. Yes, even though there are microwave directions listed on the box (you can see all the cooking instructions in our package scans at the bottom of this article), we went with the oven here. 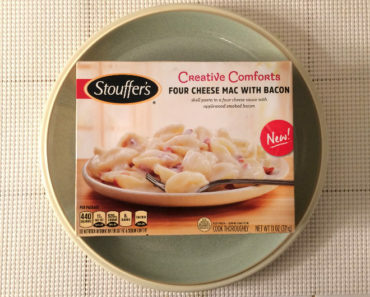 We typically like to bake these family-sized meals in the oven, since they take so long to cook no matter which method you decide to use and we feel they come out much better that way. First off, this doesn’t look much like a cheesy dish, but it does actually contain some lovely stretchy cheese. It’s mostly a skim-milk mozzarella with a touch of asiago mixed in. It certainly doesn’t dominate the dish, but it’s a really nice touch here. 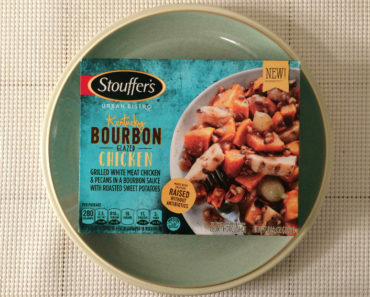 Stouffer’s was quite generous with the chicken here, and there’s quite a bit of it in this dish. It’s a white meat chicken that has a nice, grilled flavor to it. It’s just a tad dry, but there’s plenty of sauce to compensate. Unless you specifically pick out pieces of chicken, the dryness probably won’t be much of a problem. The sauce is very tasty. It’s a very tomatoey affair, with tomato puree, tomato juice, and OG tomatoes, but it’s got plenty of herbs and spices in it to give it that extra something special. The basil stands out at the forefront for sure, but there’s also some garlic puree and parsley in the mix. The box claims that there are 3.5 servings in a box, which we find to be a little awkward. 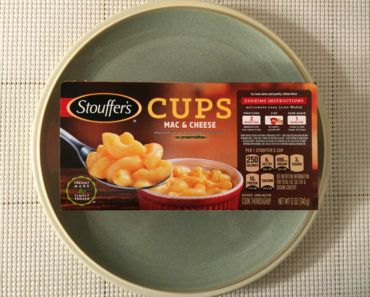 A single serving contains 240 calories (70 from fat) and 740 mg of sodium, so a full box contains 840 calories (245 fro fat) and 2,590 mg of sodium. While that’s a lot, keep in mind that we doubt anyone will eat this whole dish in a sitting. We think a relatively hungry person will eat about half this. 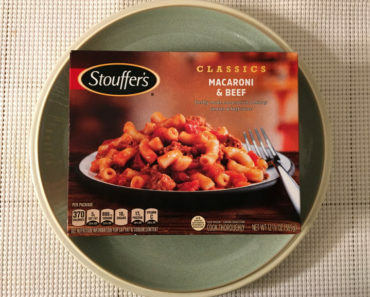 Even half a dish isn’t incredibly terrible as far as calories go (with 420 calories), the sodium is really, really high no matter how you divide this dish. 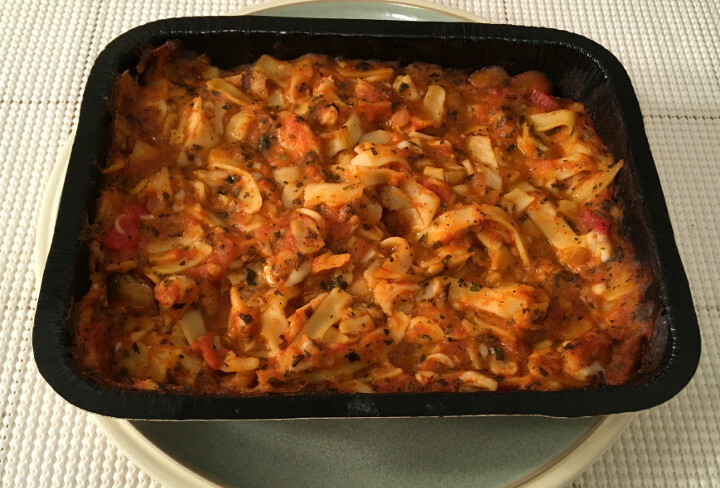 Stouffer’s Basil Pomodoro Pasta & Chicken is very tasty. 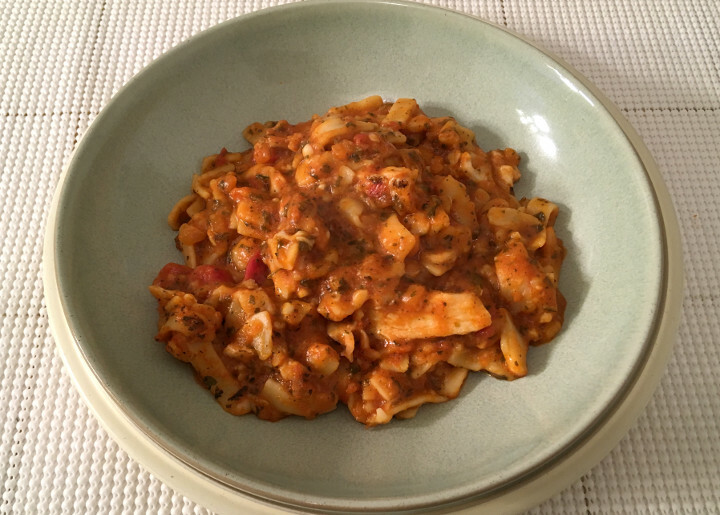 If you’re in the mood for a tomatoey pasta dish with plenty of chicken, this should definitely be on your radar. 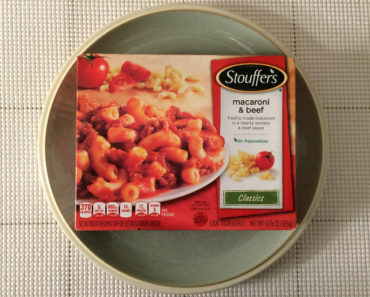 To learn more about the cooking instructions, nutrition, or ingredients for this Stouffer’s frozen meal, check out our package scans below.